Many observers had expected the decision favorable to AT&T from the three-judge appeals court panel. The decision was unanimous to uphold the trial judge's June ruling. Opposing the merger forced the Justice Department to argue against standing legal doctrine that favors mergers among companies that don't compete directly with each other, what's known as a vertical merger. The U.S. antitrust lawsuit against Dallas-based AT&T marked the first time in decades that the government has challenged that doctrine by suing to block a vertical merger. The appeals court judges said U.S. District Judge Richard Leon was correct to dismiss the government's argument that AT&T's takeover of Time Warner would hurt competition, limit choices and jack up prices for consumers to watch TV and movies. 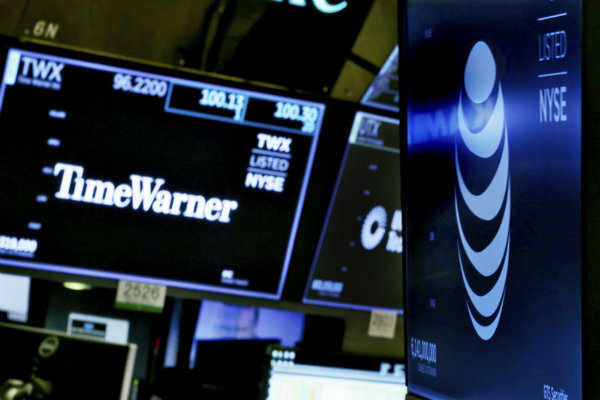 "The government failed to meet its burden of proof" for its theory that costs for Time Warner's Turner Broadcasting content would increase after the merger, mainly through threats of programming "blackouts," the judges wrote. The Turner networks include CNN. The Justice Department antitrust attorneys had asserted that Leon misunderstood the complexities of the TV industry and the nature of AT&T's competitors. The idea behind the merger was to help AT&T — which claims about 25 million of the 90 million U.S. households that are pay TV customers — compete better with online rivals like Netflix, YouTube and Hulu. "The merger of these innovative companies has already yielded significant consumer benefits, and it will continue to do so for years to come," AT&T General Counsel David McAtee said in a statement. "While we respect the important role that the U.S. Department of Justice plays in the merger review process, we trust that today's (decision) will end this litigation." If the government decided to appeal the ruling, the next step would be the Supreme Court, and it wasn't clear whether the Justice Department planned to do so. AT&T already had a streaming service, DirecTV Now, but it launched a cheaper offering called WatchTV soon after the deal closed. It's planning another streaming service, "WarnerMedia," for later this year. The ruling dealt a major setback to the Trump Justice Department. The case also could affect future antitrust regulation. It underscores that the government should look at vertical mergers more critically, particularly when the companies combining are already in industries that have few competitors, said Diana Moss, president of the American Antitrust Institute. There has been a rush of dealmaking in the cable, entertainment and telecom industries over the last few years, and Leon's ruling opened the doors for more efforts. Just a day after his decision, Comcast jumped back into a bidding war with Disney for most of 21st Century Fox's TV and movie businesses. Disney eventually won, and Comcast bought British broadcaster Sky instead. In other deal activity, wireless carriers Sprint and T-Mobile also are attempting to combine. The Justice Department and the Federal Communications Commission are still reviewing that deal, which is not a vertical merger. Sprint and T-Mobile are direct competitors. When the AT&T-Time Warner deal was first made public in October 2016, it drew fire from then-candidate Donald Trump, who promised to kill it "because it's too much concentration of power in the hands of too few." Trump has publicly feuded with Time Warner's CNN, calling it "failing" and a purveyor of "fake news." The president's statements didn't come up during the trial in district court, though his antipathy loomed in the background. TCM Turns 25, Remains Cinematic "Keeper of the Flame"
There is always an asteroid, real or imagined, bearing down on Turner Classic Movies. As Walmart, AT&T and Disney join stalwarts such as Netflix in streaming video and creating original shows, a reality sets in: Not all will survive. AT&T and WarnerMedia are joining the ever-expanding list of companies offering a streaming video service.